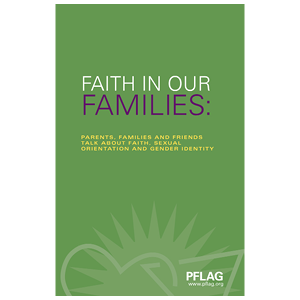 If you are a PFLAG member, contact us to obtain the coupon code for your membership discount. If a booklet you need is out of stock, please call us at (888) 742-8994 or contact us for more options. 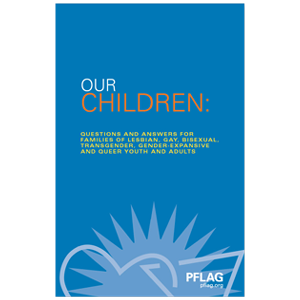 A rewrite of the perennial favorite PFLAG publication OUR DAUGHTERS AND SONS, OUR CHILDREN offers a fresh eye for parents, caregivers, families, and friends about what to do when a loved ones comes out. Our Trans Loved Ones is a brand-new, updated resource. 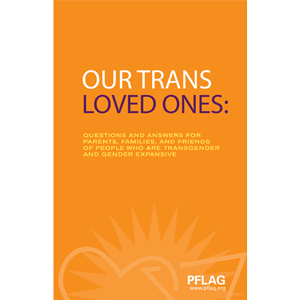 Written by PFLAG staff members, and created with the help of content experts, reviewers, and PFLAGers with experience to share, it is full of information, first-person stories, and expert input geared to those who have a loved one who has come out as trans or gender expansive. Be Yourself offers a supportive and understanding approach to today's most common questions and concerns from youth regarding sexual orientation, gender identity, and gender expression. With youth coming out--and disclosing--at younger and younger ages, being yourself has never been more important. The publication also includes an up-to-date list of resources, including hotline numbers, other organizations, and more. 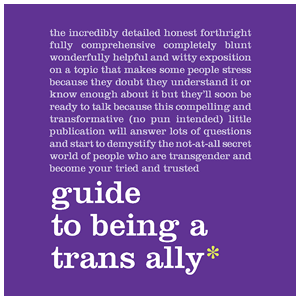 This is a guide for allies, by allies. It aims to invite, educate, and engage straight allies in the effort to create a world with equality for all. Interested? 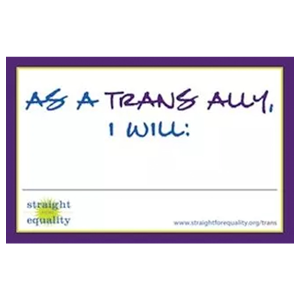 This newest installment in the Straight for Equality project aims to provide you with key learning tools, like the guide to being a trans ally, opportunities to learn even more through the great resources and organizations doing this work, and a chance to start coming out as a trans ally. 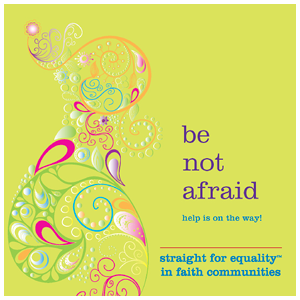 No matter where your faith community falls on LGBTQ people and/or issues Straight for Equality is here to help. 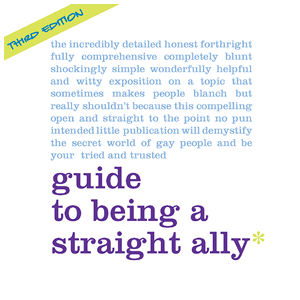 Learn how to address your own discomfort when it comes to LGBTQ issues in the context of your religious beliefs, how you can become a straight ally, and small but important steps you can take to express your support for the gay community. For too many of our children, attending school can be a frightening experience. As parents, families and friends we need to do something to make schools safer for our LGBTQ and all students. This publication will help you to advocate for strong national policies, and learn the Top 10 Ways you can Make Schools Safer? 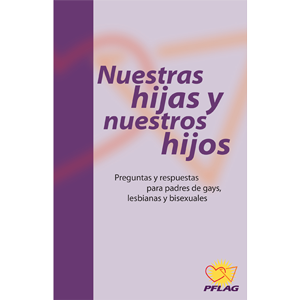 Nuestros Seres Queridos Trans: Preguntas Y Respuestas Para Padres, Familias Y Amigos De Personas Que Son Transgénero Y Género Expansivo Nuestros Seres Queridos es una publicación para padres, cuidadores, familias y seres queridos de personas transgénero y creativas con respecto al género. 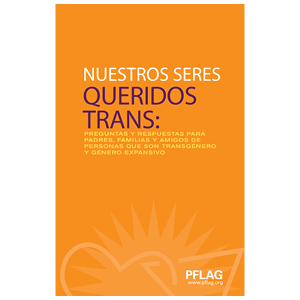 A culturally appropriate Spanish translation of "Our Daughters and Sons," this publication is a valuable resource for Spanish-speaking families coming to terms with homosexuality and bisexuality. 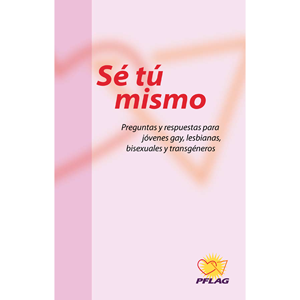 The booklet answers commonly asked questions about having a LGBTQ loved one, and includes information about additional Spanish language resources. 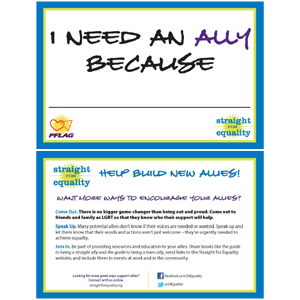 Created for people who are LGBTQ, these cards help communicate why a person needs a straight ally. Great for events and for getting conversations started. The reverse side provides you with some instant resources to pass along. 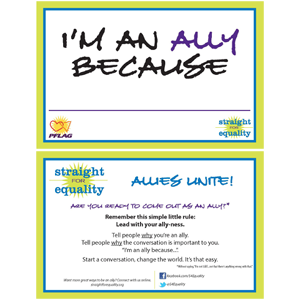 Use these postcards as a part of an event to amplify the reasons people identify as straight allies. The card is a perfect for events, and is a great way to get a conversation started. The reverse side provides instant resources to pass along.